Nokia announced on Monday that it will be teaming up with AT&T, Microsoft and Seton Hall University provide all incoming freshmen with Nokia Lumia 900 Windows Phones. This grand gesture is a part of Seton Hall's Mobile Computing Initiative, which has been providing its students and faculty with mobile technology since 1997. "Nokia has a long history of innovation and their partnership with Microsoft allows us to extend the core academic and community resources of the University into the pocket of our students," noted David Middleton, Executive Director, Center for Mobile Research and Innovation, and Assistant Vice President of Administration at Seton Hall University. "By providing our new incoming students with the Nokia Lumia 900, Seton Hall University can expand our existing Windows services and infrastructure while providing a unique, high quality, dynamic and engaging mobile experience." In addition to picking up this trendy handset, the class of 2016 will have access to SHUmobile, an app that provides campus news feeds, maps and directories. Talk about a great way to kickoff your higher education. Hey, other schools, feel free to take notes. Orlando, FL – Nokia, AT&T, Microsoft and Seton Hall University announced today a step forward in Seton Hall's Mobile Computing Initiative, whereby all incoming freshmen will receive a Nokia Lumia 900 each for extensive use across the University. The entire class of 2016 will receive a Nokia Lumia 900 powered by the Windows Phone 7.5 operating system, to support the university's mission of providing state of the art technology tools to enhance the student experience and prepare students for success in a rapidly changing world. Since 1997, Seton Hall has provided mobile technology to its students and faculty to support the integration of technology into the curriculum. Enhancing the University's philosophy of open-ended exploration, students discover new opportunities for learning with mobile computing, sharing ideas and collaborating with peers and faculty while learning how to utilize technology effectively in their academic professional and personal lives. Mobile technology provides a means of enhancing all aspects of university life, and encourages students to engage with each other and the university community from orientation through graduation. All Seton Hall students have access to SHUmobile, an app available across multiple platforms that provides access to campus news feeds, directories and maps. However, Seton Hall freshmen will have access to a custom Freshmen Experience component of this app exclusive to the Lumia 900. This personalized element adds customized social media integration and direct communication channels with their freshmen peers, peer academic advisors, housing information and roommates. Additionally, the University will leverage Nokia Data Gathering, recently made available for Windows Phone, to communicate with the incoming freshmen beginning this summer by conducting polls, providing information to help students prepare for college and to learn how the Lumia 900 and other technologies are being used. "Mobile technology has become ubiquitous and pervasive, but we are just beginning to understand the breadth of its impact across campus. Smartphone use in higher education has tended to rely on finding a specific app to fulfill a specific curricular purpose. 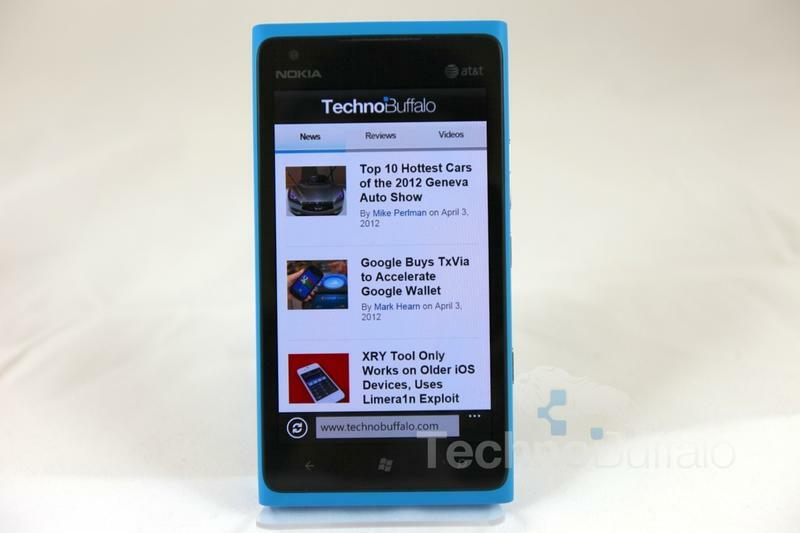 With the close collaboration between Nokia and Microsoft on the Lumia 900, the phone itself takes center stage" added Michael Taylor, Academic Director, Center for Mobile Research & Innovation. Professor Taylor explains that the seamless integration of core academic tools such as Microsoft Office increases the opportunity for faculty and students to connect, collaborate, and create. The synthesis of Windows Phone features and Lumia 900 hardware are a natural enhancement to the University's commitment to teaching and learning with technology. Utilizing AT&T's 4G network, these partnerships will help foster new opportunities for learning, content creation and experimentation. Teaching and learning can now take place not just in the classroom but virtually anywhere, providing a more engaged and integrated learning experience. Nokia provides the business market with a portfolio of compelling, high-quality devices at every price point that meets the needs of people both as consumers and business users. With business productivity tools and applications to ensure that business decision makers and employees have access to the information they need within the framework of a well-governed IT environment and an ecosystem of partners and providers, Nokia ensures the long-term viability of businesses' IT investments. Mr. Middleton and Nokia representatives will be discussing the Nokia Lumia 900 for business at Microsoft TechEd, at 3:00 p.m. on 11 June 2012, taking place at the Orange County Convention Center, Orlando, Florida, in a session open to all attendees titled, Nokia with Windows Phone: Learning How to Tile.